Analyzes radio frequency spectrum. Measures intended and interfering signals. Allows setup of parameters such as frequency, amplitude, and markers. 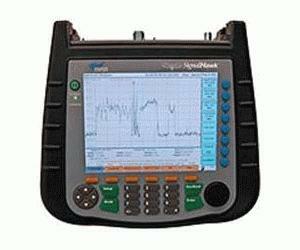 Graphically displays signal amplitude versus frequency, and saves traces.